Currently the only way to put inner rockers into a fastback or coupe is to use remanufactured sheet metal parts for a convertible. 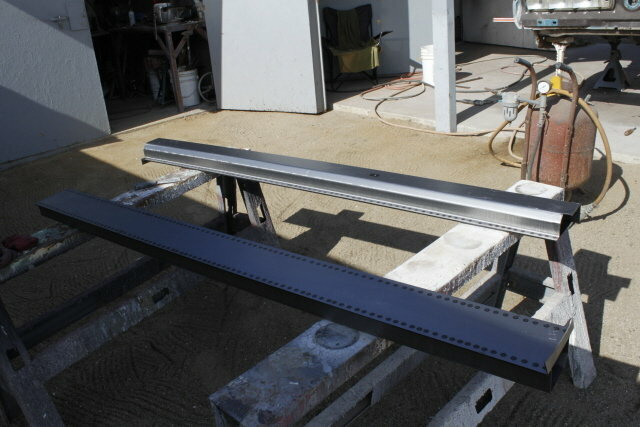 Yes it would be much easier to add sub frame connectors, but the only test available shows that SFCs do zero for torsional stability. When FORD decided how to strengthen the convertible they used inner rockers. The current method looks like this: see pics There will more posts to show what I propose as an alternative. This is a test to see how visible the drawings are when inserted here. That went well, more pictures to come!! Because they have added vert inner rockers, I would particularly like Ridge Route, latoracing and RPM to comment on the following proposal, and of course anyone else. I can see a couple of problems but won't mention them until later. Hopefully I can get all six pictures in this post- I think there is an upper limit on attachments but don't remember what it is. Yes, these are like picture C in my first post. The flange at the bottom is what necessitates cutting the floor with this construction on a fastback. Of course they were made for a convertible which has a narrower floor. Ridge- what if any problems do you see with picture 7? I ran 2x3 tube the full length of the rocker and even with the bottom of the pinch weld on mine much like the vert inside rockers. 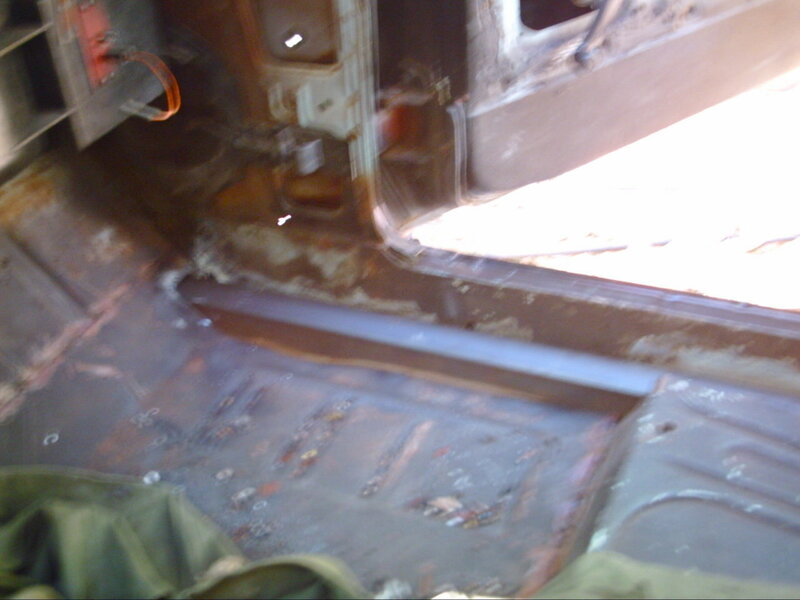 The seat pans and torque boxes were notched out to fit. It started out that way and escalated into more as I wanted more structure in the car. The car has no flex at all now. Only pic I have is poor and blurry. I don't see a problem with pic 7, other than the amount of work to get there. I think that's well deigned and thought out Terry. To me, it seems like a lot of extra work for a problem (strength of floor) that might not exist. I like the design of the Dynacorn rockers. One piece, weld 'em in. 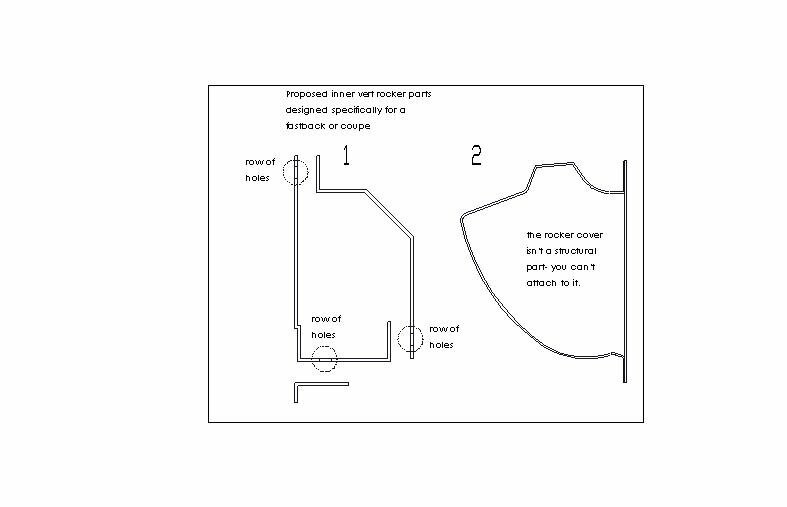 On drawing 2 it says rocker cover is not a structural part. 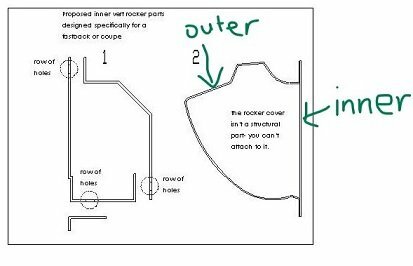 Are you calling the outside part of the rocker panel (where the sill plates are attached to) as rocker cover? 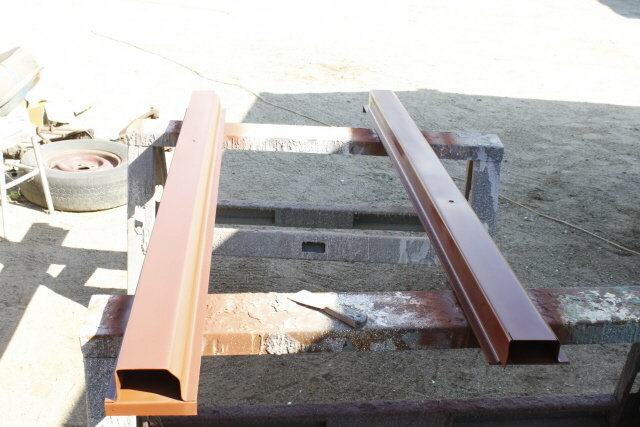 If so, it is a structural part and as thick as the vertical part of the rocker. The rocker covers they sell are thin and made to go over the existing panel, not to replace it. We did the inner rockers on a 67 fastback that we just shipped to BC Canada Sunday morning. It has a supercharged Coyote pulling 626 HP. We have plenty of pictures on our MTF forum. 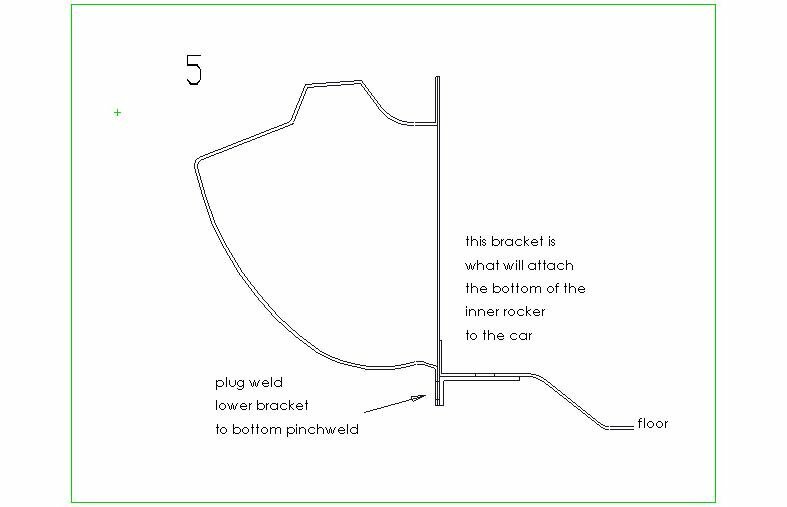 In step 5 you would weld the small bottom flange to the bottom pinch weld only. 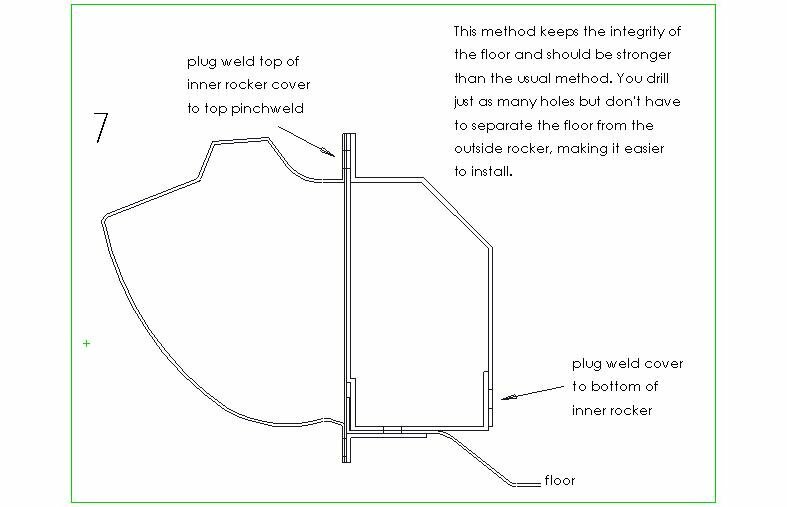 In step 6 you would weld the bottom of the inner rocker "from the top" to the bottom flange through the holes drilled in the floor in step 3. You can't see this too well on your little phone can ya? You need a 'puter with a big monitor. There is the outside rocker, and then the thin vertical cover on the outside of that. This thin cover doesn't do anything to hang the rocker on the car- it just covers it while the rocker and pinch welds do all the work. Are we talking about the same part? Is this on your website under technical info, or someplace else? BTW, its pretty difficult to figure out what they are about from the truncated title without opening all 26 and actually viewing them- not very user friendly. 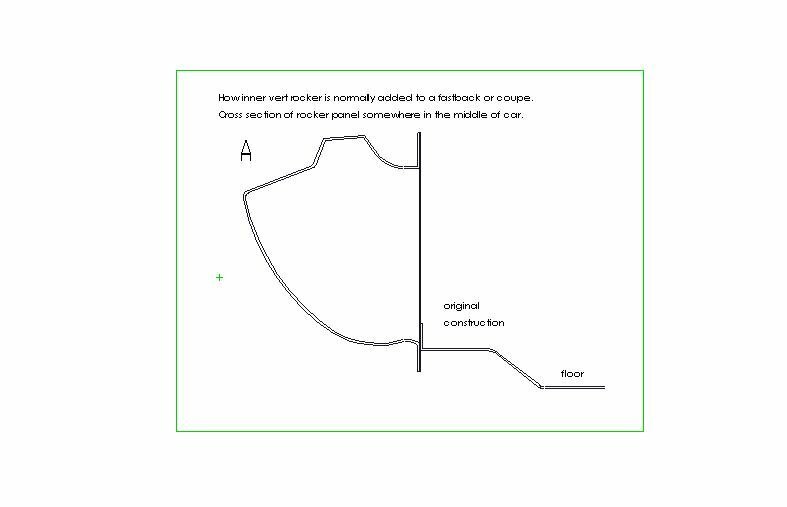 I like the amount of detail you put into your drawings and appreciate your thought process, but I do not see the same strength as a single formed piece of material (inner portion of the rocker). The upper attachment (referring to picture #7) is the same but the lower connection point is not as strong as a continuous bent piece of metal. The tie-ins to the lower outer rocker and the inner flange on top of the floor helps, but the spot welds would be weaker in torsion as they are only attached in "spots". The joggle on the inside plate would be fun to do if you do not have access to a press brake or some type of forming equipment. This particular part (if I remember correctly) is at least 14ga (0.083") if not thicker. 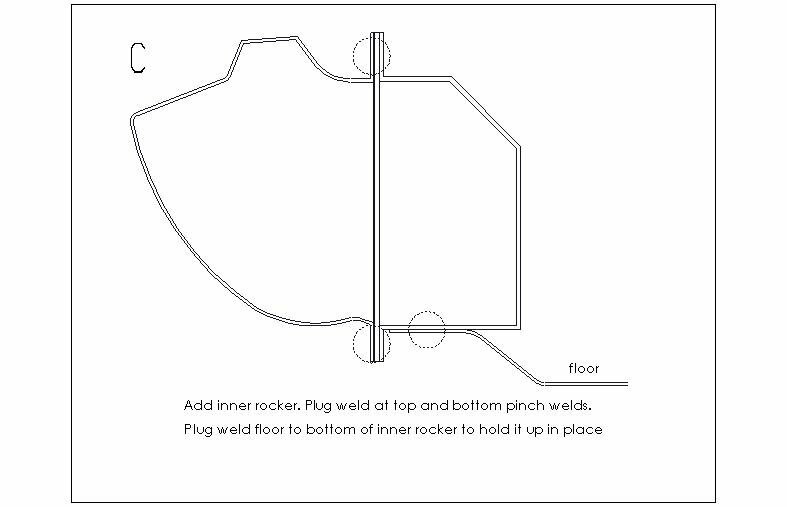 By the time you are able to form all these parts, get seatbelt nut inserts (weld nut or similar) and get them installed, you would be way ahead by drilling your spot weld holes in you floor, removing 0.250" of material and installing replacement inner rockers for far less time, money, labor and have a known structural strength. The upper attachment (referring to picture #7) is the same but the lower connection point is not as strong as a continuous bent piece of metal. 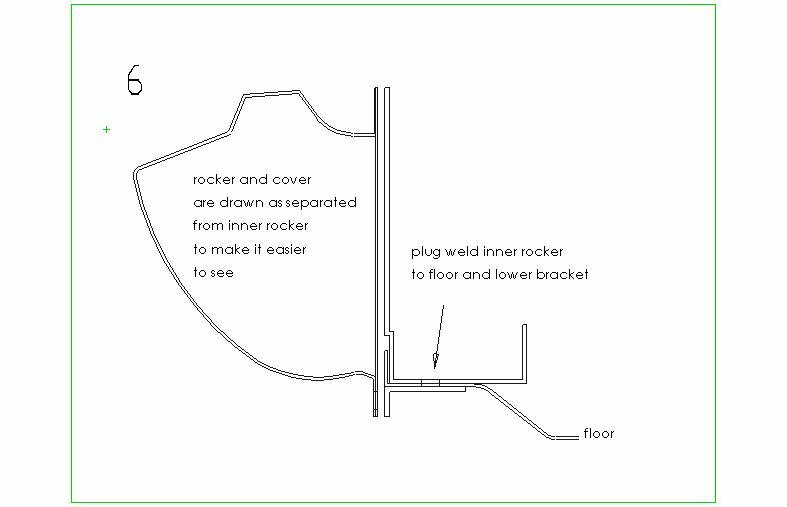 The tie-ins to the lower outer rocker and the inner flange on top of the floor helps, but the spot welds would be weaker in torsion as they are only attached in "spots". The joggle on the inside plate would be fun to do if you do not have access to a press brake or some type of forming equipment. This particular part (if I remember correctly) is at least 14ga (0.083") if not thicker. Well... the floor isn't 14ga and it doesn't attach to either pinch weld so I didn't want that to be the bottom attachment point. Do you think its more work? I don't have to cut the floor loose and remove the flange. 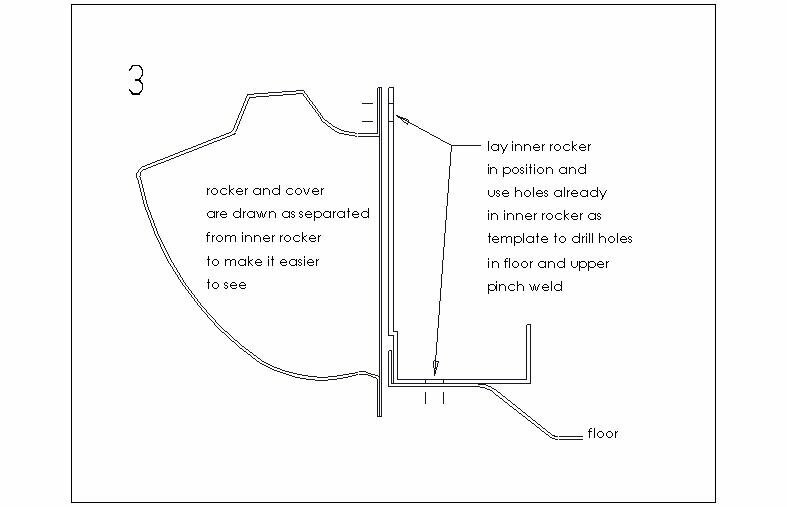 I would drill the same number of holes- in fact since latoracing mentioned the lower cover plug welds are a weak spot, I like the idea of a continuous fillet across the bottom, which requires 1/3 less holes. Running a bead across there would take less time than drilling a row of holes. You can't beat the Dynacorn rockers for one piece convenience. 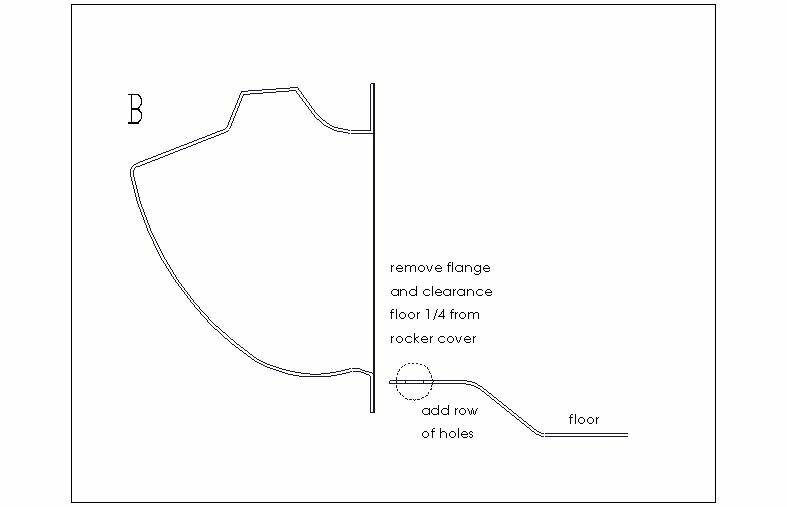 I just think that cutting the floor and removing the flange is an unnecessary step that weakens the floor structurally. With the Dynacorn parts the floor is attached with only plug welds and no return flange to give it extra strength. Just my opinion, but I always come down on the side of too much instead of not enough. Marked on this sketch as "inner" and "outer". Both those pieces are thick, there is no thin cover on piece marked as "outer". The piece produced and sold in the market today as "rocker cover" is a thin metal piece that goes over the "outer" on this sketch. Originally there is no "rocker cover " from the factory (at least my 69 Grande did not have it). Part sold as "rocker cover" today is not structural, it is meant to be welded over "outer" to cover the dent etc on the "outer" because it is not easy to fix the dents on the "outer" as it is thick and body hammer don't work on it. With the drawing, cutting, forming/bending/breaking, fit-up, and welding, yes just off the top of my head I do. But it's a moot point to me, as I really enjoy doing this type of work (therapy). I'm serious when I say I enjoy it more than driving the Mustang, and it's a blast to drive. I did the spot welds on the bottom, and ran a continuous bead along the bottom. It'll be more work if it ever needs removed, but c'est la vie. I also don't like giving up the flange because of the strength it provides. I like too much instead of not enough. Your last line cracked me up. My brother is known for over doing most everything. He has some phrases that follow him...Too much is not enough, Tom tight, More is better. You'll do fine Terry, and enjoy the stiffer chassis. I was talking about the part you marked as "inner". 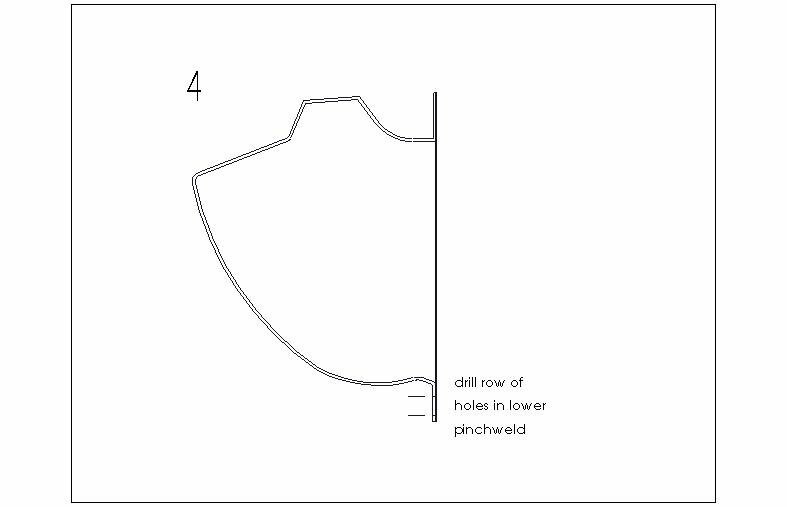 Perhaps its inaccurate to say its not structural, but I elected to say that instead of explaining why I didn't attach the bottom of the inner rocker to that surface: that surface is not rigid enough to prevent flexing and therefore movement of the bottom of the inner rocker. Instead I elected to add a 14ga bracket at the bottom that ties directly to the pinch weld. I didn't feel the need to explain all of that on the drawing. Does that adequately explain my reasoning? The "outer" is pretty resistant to flexing and twisting, that's why I wanted to grab that bottom flange.